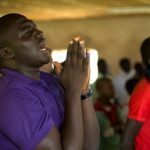 The Christian community in Niger says it is in shock in the wake of weekend violence that has claimed the lives of ten people and led to the destruction of dozens of places of worship and Christian homes. The protest, which started in the country’s second city, Zinder, on Friday January 16, quickly spread to surrounding areas before reaching the capital Niamey on Saturday. Ten people have died, and 45 churches burned down in the two days of violence, the police say. 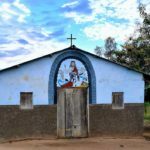 But information gathered by World Watch Monitor revealed that more than 70 churches have been destroyed, along with numerous Christian schools and organisations, including an orphanage “The Good Samaritan” run by the Assembly of God Church. The 40 children of the orphanage are currently in ”disarray” under the care of police. Over 30 Christian homes were believed to be looted and burnt down. Those affected say the violence has left them with “only the clothes on our backs”. Pastor Zakaria Jadi, whose church was among the destroyed buildings, told the BBC he was meeting with the elders when he heard about the attacks. All started on January 16 in the southeast city of Zinder, where latest figure show that eight churches and twelve Christian homes were set on fire. Two Christian schools were also attacked and ransacked. The violence sent some 300 Christians (out of 700 in the city) out taking refuge in army barracks. Some of them have started to get back into their homes, local sources told World Watch Monitor. “This is the greatest loss the Church in Niger has suffered in recent history. These attacks will have long-term effects on the small community of believers. A large number of local Christian families have lost everything they have laboured for their entire lives. The attacks have also caused considerable fear among the believers. Our brothers and sisters in Niger are in dire need of our prayer as they respond to this challenge,” commented a worker for Open Doors International, a charity which partners with churches under pressure. The tension quickly spread to other towns in the Zinder region. “In Gouré the town’s only church is on fire,” a witness reported as the situation unfolded. All Christian homes were burned and all the believers were taken into the military barracks for protection. 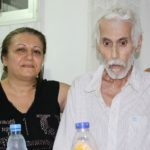 In Tanout, the protesters burned down two Evangelical churches, while in Magaria they destroyed one church. 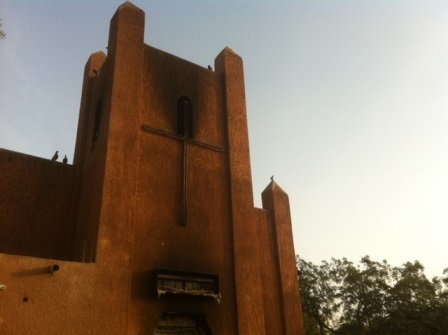 In Maradi, another of Niger’s main towns, close to the Nigeria border, two Evangelical churches were eventually burned down, while a small Fulani church in Bermo village (200 km from Maradi, in the north) was attacked and burned down. Local sources have told World Watch Monitor that the prompt reactions of security forces helped to limit the destruction. 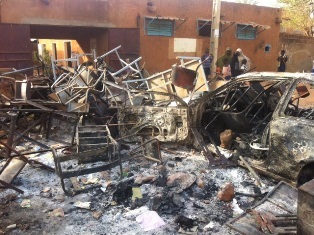 In Birnin Gaouré, about 100km from the capital Niamey, three churches were set on fire and a missionary school was attacked. In the far north town of Agadez, “there was an unsuccessful attempt on the church”. By Sunday the violence spread to the capital Niamey, as a large crowd of about 1,000 Muslims convened outside the main mosque, before marching across the streets of the city. The angry crowd, reported to be guided by youths in cars and motorbikes, then set several public buildings and properties on fire: among them, the headquarters of the ruling party, several bars, a brothel and a beer factory. Security forces fired tear gas in an attempt to restore order, but the rioters were out of control. In small groups the protesters then attacked Christians across the capital. On Sunday, the situation had calmed somewhat in Niamey, but the bells remained silent at the Catholic Cathedral, though it had been spared in the Saturday violence as troops guarded it. Most Christians did not feel safe to return home, World Watch Monitor heard, while others were trying to assess the scale of damage sustained by their communities. Various sources, contacted by World Watch Monitor, have pointed out the lack of reaction from the security forces. 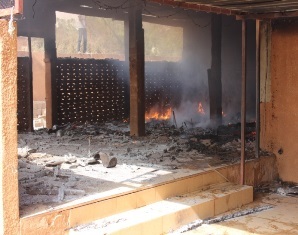 This, they said, has turned Christians and their properties, including Niamey’s biggest Protestant church, into easy targets for the protesters and looters. In a television address, on Saturday evening, President Mahamadou Issoufou condemned the anti-Christian violence and expressed surprise at the attack. ”Those who plunder those places of worship, those who desecrate them, those who persecute and kill their Christian compatriots, or foreigners living on the soil of our country, did not understand anything about Islam”. The week-end violence was also widely condemned by several Muslim clerics. The government has declared three days of mourning for those who died. 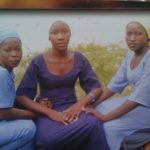 A local church leader has called on Christians in Niger to respond with the love of Christ in an interview on the BBC Hausa Service. 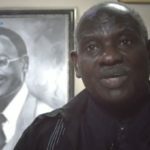 “I call on every single believer in Niger to forgive and forget, to love Muslims with all their heart, to keep up the faith, to love Christ like never before, said Pastor Sani Nomao. Associating local Christians with the Charlie Hebdo publication is incorrect, but convenient. The same way a Danish cartoonist mocking of the Prophet Mohammed created opportunity for Muslims to unleash terror on Christians in Northern Nigeria in February 2006, the Charlie Hebdo saga has become an opportunity for attacking Christians in Niger – an Islam-dominated country that has been praised for its secular government and relative tolerance towards Christians despite the fact that more than 98% of the population follow Islam. Over the past few years the country has seen growing radicalisation. Muslims in Sudan and also in the Somali capital Mogadishu were amongst those in several other countries who protested against the Charlie Hebdo publication. In Khartoum, the capital of Sudan, police prevented hundreds of protestors after Friday prayers from reaching the French Embassy and French Cultural Centre to submit a memo to the French Ambassador, reported the Sudan Tribune newspaper. In Somalia, Muslims also protested against the Charlie Hebdo cartoon. Students marched through Mogadishu on Saturday morning holding signs that declared ‘Je Suis Muslim – and I love my Prophet’. In Algeria, a peaceful protest march against the cartoon ended in a riot, with police firing riot pellets at small groups of protesters who threw rocks and bottles. Reuters reported several police were injured. In Kenya, the issue has brought the issue of press regulation and control into the spotlight. The Bloomberg news agency reported Kenya’s media regulator threatened to close a local newspaper for publishing offensive materials, days after it reprinted the cover of Charlie Hebdo featuring the Prophet Muhammed, prompting complaints by Muslim readers.